Dating back centuries to the Iroquois tribes who once dominated nearly the entirety of New York and portions of Pennsylvania, modern-day lacrosse is rooted on the East Coast. While the consensus capitals of the sport are Baltimore and Long Island, the oldest game on the American continent continues unfettered its manifest destiny, this time favoring aboriginal culture. If measured by the number of Division I varsity programs, the Upper Midwest has by and large remained untouched by this westward expansion. Wisconsin is home to Marquette, but only two colleges west of the Mississippi River sponsor Division I lacrosse, Denver and Air Force, both in Colorado. Division II and III feature a greater number of opportunities in the Midwest, but the scale is still heavily tilted in favor of the Eastern Seaboard. North Dakota is at the heart of lacrosse’s dead zone, or so it may seem. You can count on one hand the number of NCAA programs within 300 miles from Fargo, and the state does not feature a single sponsored high school team. Perhaps then it comes as a surprise that one of the top club lacrosse teams in the nation can be found on the campus of North Dakota State. When considering the blend of attitude and a frenetic style of play that NDSU brings to the field, the mystery unravels. Bison head coach Zach Bosh has been the man at the center of it all for nine seasons. In 2010, Bosh rose to the helm of a team that was only three years removed from a 2-7 campaign and required a sense of direction. Under his stewardship, NDSU has posted an 85-39 record and has risen the ranks in the second division of the Men’s Collegiate Lacrosse Association. 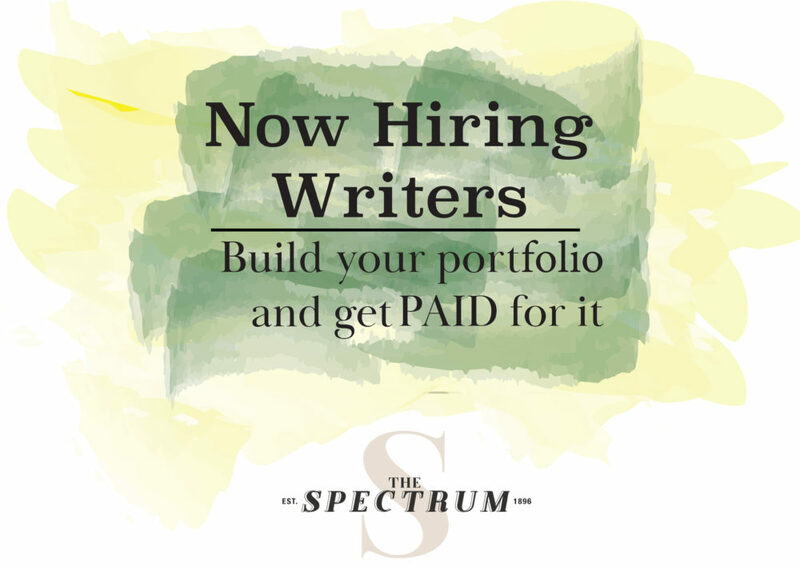 The dead zone became a hotbed. Still, it remains astounding that NDSU has been able to thrive in an arid lacrosse landscape. The answer begins with Bosh, who boasts a strong lacrosse background. He played his college ball at Minnesota State University Moorhead and participated on an elite team based out of Minneapolis which traveled around the country. Before taking the position at NDSU, he coached for MSUM. Coaching is only half of the equation though. The aggressive style of play Bosh commands from his players requires an athletic roster. With very little talent in state, the Bison are forced to draw players from other sources, a daunting task given NDSU’s geography. “Being in a state that doesn’t have a lot of lacrosse hasn’t really been a hindrance, and it’s only a hindrance if you make it one,” he concluded. The head coach’s vision of an athletic and skilled roster has truly reached its apex in 2018. NDSU’s spot as the nearly-unanimous No. 1 team in MCLA’s Division II is the highest ranking the team has ever achieved, a new height in a nine-year run of new heights. Overcoming any lingering sense of complacency is a task the head coach will gladly accept, and one that has birthed a positive byproduct. 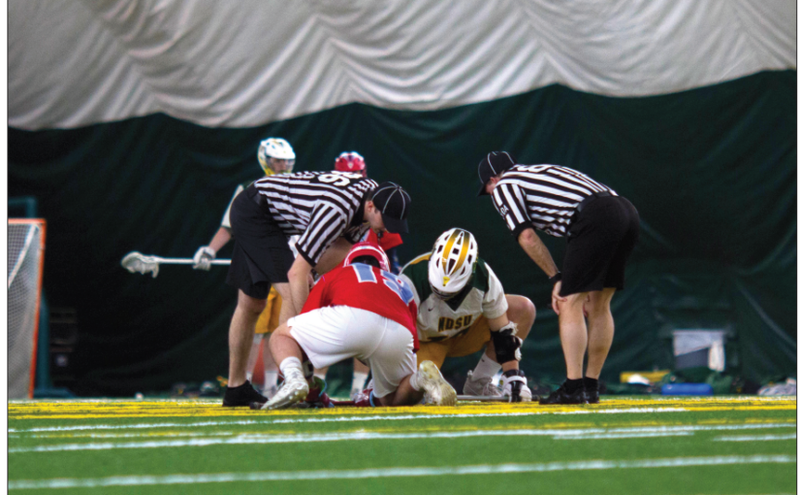 The Bison play with an incredible level of swagger, which was on full display in their latest game, a Saturday night matchup with Upper Midwest Lacrosse Conference foe and No. 5 St. John’s. NDSU cruised to a 14-6 triumph, shouting and hollering along the way. The style of play which is the hallmark of NDSU lacrosse was in full force against the Johnnies. The Bison’s 10-man ride, which entails each Bison player covering an opponent while they attempt to advance up the field, forced numerous turnovers from St. John’s. NDSU’s transition offense allowed for many easy goal scoring opportunities, turning SJU’s errors into points on the other end. At times, however, NDSU showed signs of taking their foot off the gas. “To be honest with you, the biggest thing we’ve got to clean up is understanding it’s a four-quarter game,” Bosh admitted afterward. “Sometimes we get a little complacent during some parts of the game. We let up easy stuff that we probably shouldn’t.” Forgive the team for their overconfidence, NDSU had just clinched the top seed in the upcoming UMLC tournament. The notion that NDSU is just another club team on campus is something that coaches and players are trying to shed. “I just don’t want people to look at us and hear the word ‘club’ and think that we are the stereotype of what people think clubs are. That couldn’t be further from the truth,” Bosh remarked. On Saturday, the Bison looked the part of a varsity team, but seeing players drag goals off the field and tear off the taped down end lines serve as reminders that NDSU lacrosse still has to play second fiddle at a strong sports university. “No one’s leaving until we get this field cleaned up!” Bosh called out to his players, who’ve scattered and are conversing with family and friends. Instead of shuffling off to locker rooms and press conferences, the NDSU lacrosse team has to neaten up their own field. There are still three more games to be contested, against St. Cloud State, St. Thomas and Minnesota, and the Bison are focused on continuing their 7-0 start to the season. Knowing what lies in front of them, a conference tournament and a potential trip to nationals, the Bison remain grounded. “Inevitably, our conference is the toughest conference in the country. We’re poised for a run as long as we keep our heads about us,” Bosh stated. It’s those players, each of whom was recruited by an NCAA program, perhaps even some of those on the East Coast, who are responsible for the state of NDSU lacrosse. Classes have left the program better than they found it, culminating in 2018’s success. For many, competitive lacrosse in the Midwest, particularly in North Dakota, may be incomprehensible. The choice to play at NDSU is a simple one for incoming players, though. “They just chose to come here because it made more sense to them being close to home, playing a competitive brand of lacrosse and not having to go out to the East Coast,” Bosh explained. When taken all into account, it’s clear to see how Fargo became lacrosse’s Midwestern hotbed. The Upper Plains are no longer a dead zone for America’s oldest sport, thanks to Zach Bosh and 40 players who wanted to be more than an average club team.